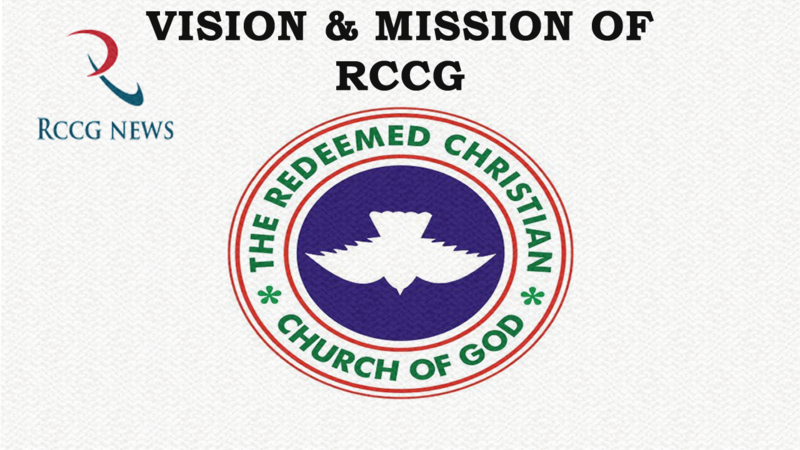 RCCG was founded in 1952 by Rev. Josiah Olufemi Akindayomi (1909–1980) after he had been involved in a number of other churches. Rev. Akindayomi chose Enoch Adeboye as the next General overseer. Enoch Adeboye was a lecturer in mathematics at the University of Lagos, Nigeria, as at the time he joined the church in 1973. Adeboye initially became one of the interpreters translating Akindayomi’s sermons from Yoruba to English. He was ordained a pastor of the church in 1975, and his appointment as leader(General overseer) of the church was formalized by the posthumous reading of Akindayomi’s sealed pronouncement. In 1990, Redeemed Christian Church of God Bible School is founded. In 2016, the weekly worship attendance of the church in Lagos averaged 50,000. The official RCCG website outlines its beliefs in the Bible and the Holy Trinity, that the Devil exists, that God formed man in his image, in repentance, in cleansing from sins by God’s grace, in sanctification, water baptism, Holy Spirit baptism, restitution and that it is possible for God to heal without medicine (by His divine intervention e.g. through prayer). The church is a strong advocate of peace and holiness (“Follow peace with all [men], and holiness, without which no man shall see the Lord. Hebrews 12:14 – KJV). The church forbids “worldliness” (such as reveling and lewd dancing) and rebellion against church authority. The church is also against debt to finance either the church or its activities. It encourages abstention from all evil and reverence to parents and constituted authorities. The church headquarters is located in the Ebute-Metta suburb of Lagos, Nigeria. As of August, 2016, RCCG had a presence in 192 nations of the world, and the church is still rapidly expanding, utilizing evangelism as a core tool along with church planting. The international church is structured in different areas throughout the world. The local churches are now grouped into regions, with 28 Regions in Nigeria. Elsewhere in Africa, RCCG has a presence in Benin, Burundi, Cameroon, Cape Verde, Côte d’Ivoire, the Democratic Republic of the Congo, Gambia, Ghana, Kenya, Malawi, South Africa, Tanzania, Togo, Uganda, Zambia and Zimbabwe, among several other countries. In Europe, the church has a presence in Austria, England, Scotland, Belgium, the Czech Republic, Denmark, Finland, France, Germany, Hungary, Ireland, Italy, Malta, the Netherlands, Norway, Turkey, Portugal, Poland, Spain, Sweden, Serbia and Switzerland. In the United States, it has a presence in Arizona, Michigan, Mississippi, Illinois, Texas, Tennessee, Florida, New York, New England, District of Columbia, Pennsylvania, Delaware, Virginia, Maryland, New Jersey, Georgia, Oregon, Minnesota, Oklahoma, California, North Carolina, Connecticut, Rhode Island and Colorado. In the Caribbean, it has a presence in Haiti, Jamaica and Trinidad & Tobago. In Canada it has a presence in Ontario, Quebec, Manitoba, Alberta, Saskatchewan, and New Brunswick. The RCCG in the United States and Canada together form the RCCGNA(RCCG North America), which has its headquarters in Dallas, Texas. In Asia and the Pacific it has a presence in Australia (Melbourne, Sydney, Canberra, Newcastle, Adelaide and Perth), New Zealand, Fiji, Malaysia, Thailand, Papua New Guinea, Samoa, the Solomon Islands, Singapore and in the Philippines. In India it has a presence in New Delhi, Mumbai, Bangalore, Chennai and Kolkata. It also has a presence in Hong Kong, Sri Lanka and Myanmar. In Pakistan it has a presence in Lahore, Kasur, Sahiwal, Mureed Ke, Mian Chanu. In the Middle East, the church has parishes in Qatar (two parishes), Kuwait, Lebanon and in all the seven emirates of the United Arab Emirates. A major RCCG evangelistic outreach event is the “Let’s go fishing” program, which holds primarily during the major Christian festive seasons of Christmas and Easter. The events are typically held at previously unevangelized communities. An RCCG church is usually started at the location for the benefit of the new converts and the larger community. The most popular of the church’s activities is the monthly Holy Ghost service attended by millions of people from within Nigeria and abroad. Live broadcasts are transmitted on TV, Radio & also streamed over the internet. The program is regularly attended by RCCG and non RCCG members, as well as people from other faiths. The immediate past venue of the monthly Holy Ghost Services was the 1 km2 main auditorium, located at the popular Redemption Camp on the outskirts of Lagos in Ogun State, Nigeria. Starting in November, 2016, the venue of the monthly Holy Ghost services is now at the new 3km X 3km auditorium(in an area popularly referred to as Ṣìmáwá), which is still located on the expansive grounds of the Redemption Camp. Starting with the November 2016 Holy Ghost Service (as well as subsequent services), the 1 km2 auditorium is being used as a primary viewing center. Among other reasons, the ever growing crowd of worshipers that attend services at the Redemption Camp, especially during the church’s Annual Convention that holds in August and the Holy Ghost Congress in December, warranted the construction of and relocation(of the services) to the much larger auditorium, which upon completion will measure 3 kilometres by 3 kilometres in size(area: 9 km2). Holy Ghost services are also held at different times in other locations around the world including the U.K.(where it’s known as the Festival of Life), the U.S., in Asia, and on other continents. The RCCG runs bible colleges and school of disciples headquartered in Nigeria, with many campuses in the UK, Europe, Middle East (Qatar) and a few other continents. There is a relatively new movement in The RCCG called the Pastors’ Seed Family (PSF). It is a forum for the wards/children of Pastors and Ministers in the RCCG to come together as a body to share areas of common interest, encourage and develop one another in all spheres. It commenced in 2008 during the Annual Convention of the church and since then, holds its meetings at the International Youth Centre of the Redemption Camp during the Special Holy Ghost Service in March, Annual Convention in August and the Holy Ghost Congress in December every year. There are awareness programmes and inaugurated chapters in Nigeria, United Kingdom, Ireland, North America, Canada, Kenya, Zambia and South Africa. The UK chapter already has its annual conference which fitst held in April, 2015. The coordinator of RCCG PSF International is Leke Adeboye, a child of Pastor Enoch Adeboye. Leke is also the Senior Special Assistant to the General Overseer of the church.